These are the MoveOurStuffs.com’s trucks with specifications in brief. 8′ Pickup Truck perfect for home improvements, local deliveries and small loads and also to tow your boat. Rent our pickup truck for any of your personal or business needs. Our 10ft moving trucks are perfect for upto 2 bedroom moves. Studio & apartment moves, college dorm moves and equipment deliveries and shipment can be easily done. Lower loading decks makes loading even easier. Our 15ft moving trucks are perfect for 2 bedrooms apartments, smaller houses and are equipped to towing a trailer. The cab includes seating for three and lower decks makes loading very easy. 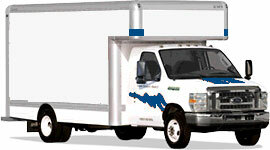 MoveOurStuff’s 17ft moving trucks are perfect for 2-3 bedroom moves, small office moves and larger apartment moves. Its best low cost option for medium size moves. Our 20ft large moving truck are perfect for 3 bedroom household moves or a medium size office move. These trucks are good for long distance moves as enough space to keep goods proper so it won’t damage. 24ft moving truck rentals are perfect for large bedrooms or 3-4 bedroom apartments for a growing family. You can easily tow your car so save fuel for the car as well. Bigger families prefer our 26ft moving truck rentals as they are perfect for 4+ bedroom houses and offices. Larger space, smooth ride suspensions provides convenient and protection in long distance moves. For any of the truck rentals shown above, call us +1-866-6683-186 (toll-free) or request call back by feeling the form above!